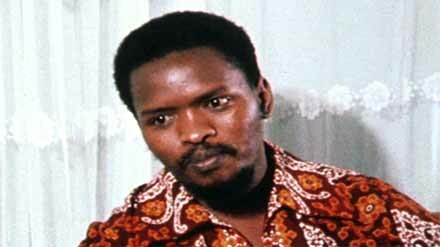 IMAGINE what South Africa would be like today if Steve Biko was not assassinated in 1977? Instead of a negotiated settlement in which whites retained some of the legacy of the nation’s colonial history the country would look very different. Biko’s ideology of black consciousness emphasised the rejection of the white ‘monopoly on truth’ as a central tenet of the movement. It preached unity at the same time that it rejected whiteness and the non-racialism of the ANC. Black consciousness thus sought to perpetually challenge the dialectic of Apartheid South Africa as a means of transforming black thought into rejecting the prevailing opinion or mythology, and thus to attain a larger comprehension of blackness. It brought earlier ideas of negritude or black identity into direct conflict with the security apparatus of the Apartheid regime. “Black man, you are on your own” had became the rallying cry against “the System” during the 1970s since, according to Biko, only a black nation could liberate itself. Biko saw the struggle to build black consciousness as having two discrete stages, “Psychological liberation” and “Physical liberation”. An important component of Biko’s psychological liberation — which was an important precurser to physical liberation — was to embrace blackness by insisting that black people lead movements of black liberation. This meant rejecting the fervent “non-racialism” of the ANC in favour of asking whites to understand and support, but not to take leadership in, the Black Consciousness Movement. Psychological liberation entailed gaining acccss to the mental tools required to understand one’s existence and position in life. Biko’s understanding of psychological liberation was shaped by post-colonial thinkers such as Frantz Fanon, Léopold Senghor, and Aimé Césaire and reflects the concern for the existential struggle of the black person as a human being, dignified and proud of his or her blackness, in spite of the oppression of colonialism. The aim of this global movement of black thinkers was thus to build black consciousness and African consciousness, which they felt had been suppressed under colonialism. Only once psychological and physical liberation had been achieved, could Black Consciousness begin to tackle issues of non-racialism. The Black Consciousness Movement was thus not anti-white, but rather weary of the debilitating consequences of placing white history at the centre of meaning. As South Africans continue to appraise the meaning of the freedom struggle, they may be asking themselves, what would Biko have done? What would South Africa’s black consciousness leader think about events in the run-up to the 2014 elections, in particular the contestation over his own legacy? An alternative history in which Biko and his ideas survive might look at how power is defined in black terms, within a black idiom, one that is emancipatory and unapologetic. It may recast some of the power dynamics within our society, as more than a simple binary opposition of black versus white, but rather as a psychological narrative in which black thought counters white thought. In the end we may find that Biko is us and we are all Biko.